Apollo Beach Nature Preserve | Florida Hikes! Natural waterfront. Mangroves. Picnic tables with a view of Tampa Bay. 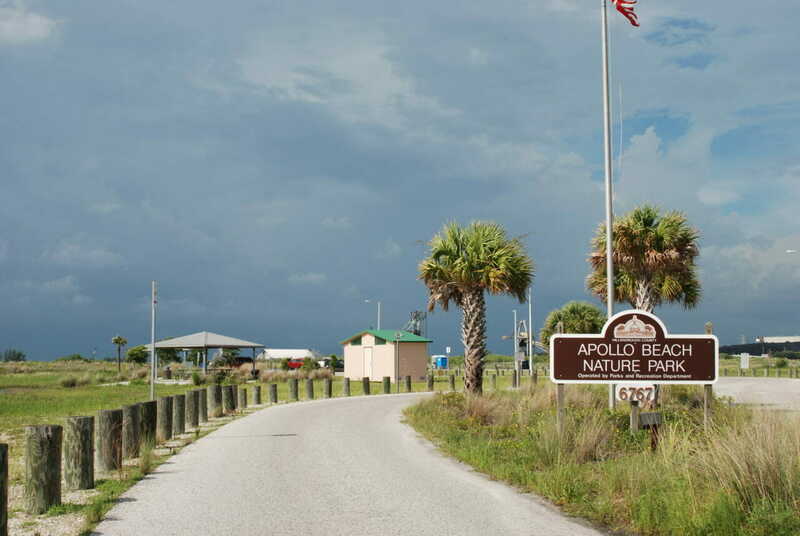 Apollo Beach Nature Preserve is a perfect place for birders, not beachgoers, a place to launch a kayak and scan the skies for osprey. At the far north end of Apollo Beach. 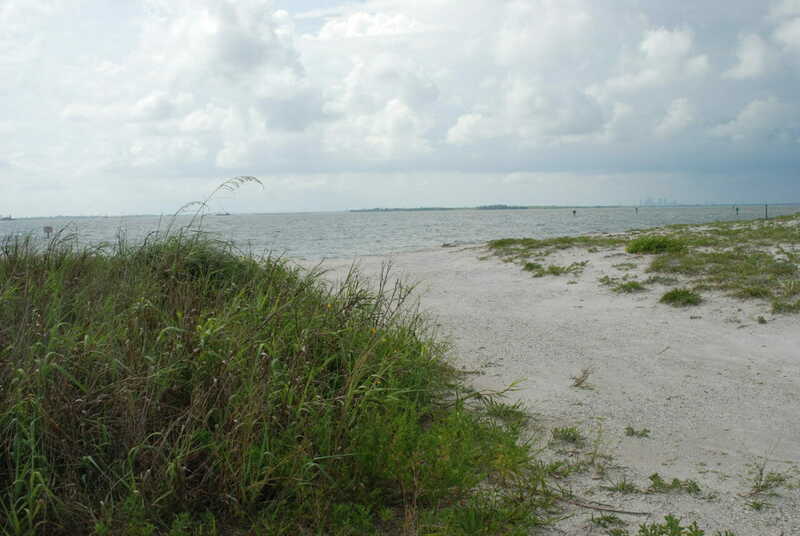 Perched above Tampa Bay on crumbling bluffs, Apollo Beach Nature Preserve wasn’t quite what we expected. 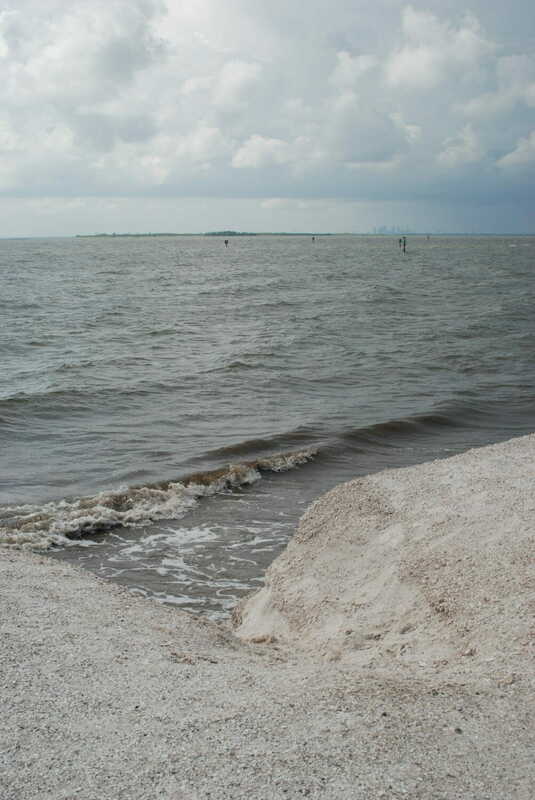 Perhaps the name, with its Greek roots, or the recognition of how Jules Verne predicted Florida space travel, albeit it launched from the shores of Tampa Bay, wrapped an aura of romance around the idea of a nature preserve on this residential shore of the bay. It had rained heavily, so streets and yards were flooded and canals overflowing. Following the signs back from US 41 to the water’s edge, I’d imagined clouds of shorebirds on a sun-splashed beach. But no. 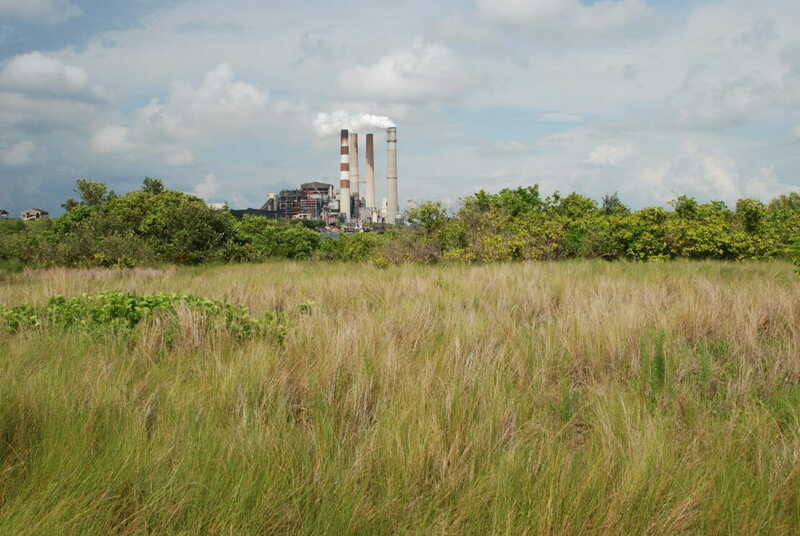 Preserving a tiny spit of natural Tampa Bay waterfront in an otherwise terraformed landscape, it’s a picnic park, a place to drop a line between the mangroves in the shadow of a power plant, but certainly not a beach. But we met a family taking their kids exploring in the salt marsh, proving that all it takes is a tiny touch of nature in an otherwise unnatural setting for us to connect with the wild, even in a heavily urbanized area.